The 5.5'. 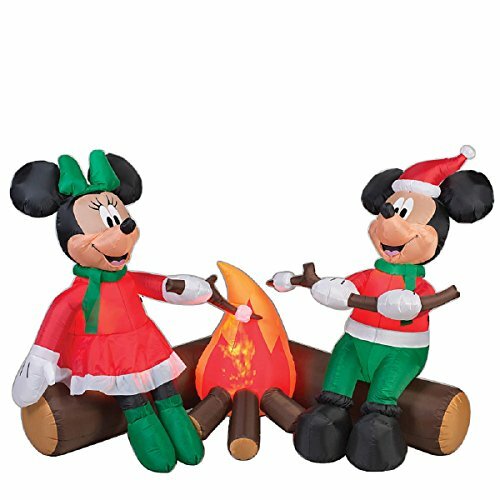 Airblown Mickey and Minnie roasting marshmallows are perfect for anyone who enjoys decorating for the holidays and loves Disney. The pair make a colorful display on a front lawn or in the living room windows. Whether they're serving as statement pieces or they're part of a larger display with additional blow up models, this set is a great option. It puts smiles on the neighbors' faces throughout the holiday season. Lighted For Nighttime Display. Projection Lighted Campfire for added awesome! !